Rudolph Bubbles by The Bots x UVD Toys! Once DesignerCon is over next week (booooo), all thoughts will turn towards the holiday period of the year. Mistletoe & wine yada yada! The epitome of Christmas is Rudolph the Red Nose Reindeer. If it wasn’t for Rudolph, we wouldn’t have Christmas. That’s a biblical fact. Can’t argue with biblical facts, right?! 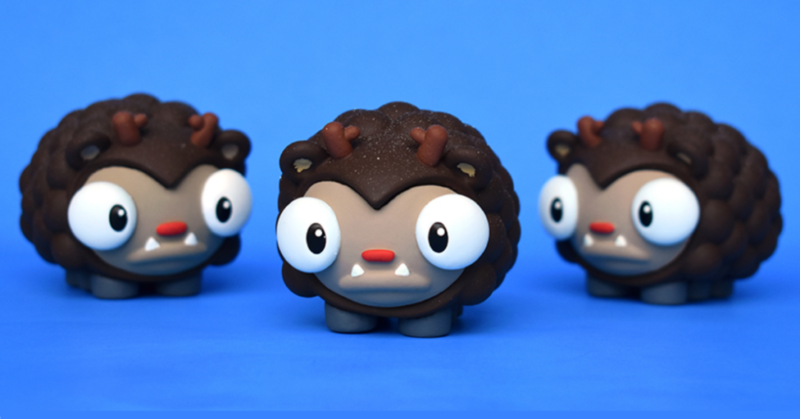 Rudolph just so happens to be the next Bubbles release from The Bots x UVD Toys at DesignerCon this week. Super limited to four pieces! No details on price at this stage, cos Travis ain’t sent it and it’s too early for us to ask. Joining Rudolph Bubbles at DCon will be the black sheep of the family in Black Sheep Bubbles. Black Sheep Bubbles is limited to 50 pieces and priced at $30 each, you’ll be able to get your mittens on these from the UVD Toys #2431 booth from Friday VIP preview night! UVD will also have the convention Bubbles available at their DCon booth #2431 too. Previously released at NYCC this past summer, they’ll see their second Convention release at DCon. Read HERE for previous details. Expect to pay $30.